Call toll free 888-USA-YOLO and speak with a Representative about the best Pack for your team! YOLO's custom Practice Packs let you decide which items you and your team want to include. You pick the items, we discuss the color choices, art possibilities, and individual options that may apply. Each custom Pack will have a different minimum order requirement, and will each be priced individually based on the items you select. 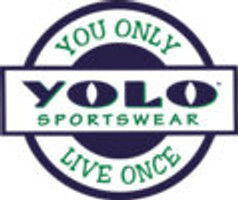 Please call 888-USAYOLO or email info@yolosportswear.com to find out more information.